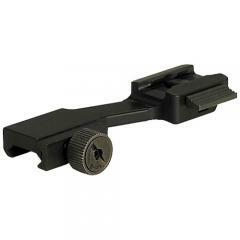 N-Vision NVAC-RM, NVAC-RM1 GT-14 Rifle Mount (NVAC-RM) FREE SHIPPING! Allows attachment of GT-14 night vision monocular to rifles equiped with a standard Picatinny (MIL-STD 1913) rail. ©2002-2019 CopsPlus.com: N-Vision NVAC-RM, NVAC-RM1 GT-14 Rifle Mount (NVAC-RM) FREE SHIPPING!